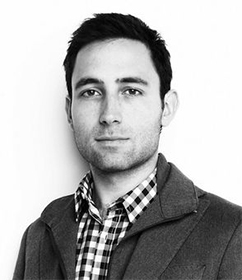 Scott Belsky is an executive, entrepreneur, author, and investor (and all-around product obsessive). He currently serves as Adobe’s Chief Product Officer and Executive Vice President, Creative Cloud. Scott’s passion is to make the creative world more productive, connected, and adaptive to new technologies. Scott co-founded Behance in 2006, and served as CEO until Adobe acquired Behance in 2012. Millions of people use Behance to display their portfolios, as well as track and find top talent across the creative industries. After Behance’s acquisition, Scott helped reboot Adobe’s mobile product strategy and led Behance until 2016, when he spent a few years as an investor and advisor to multiple businesses. Alongside his role at Adobe, Scott is a Venture Partner at Benchmark – a venture capital firm based in San Francisco, an early-stage investor, and is co-founder and Executive Chairman of Prefer, a referrals platform that empowers the careers of independent professionals (aka “Soloists”). Over the years, Scott has pursued other projects to help organize and empower the careers of creative people. These include 99U, Behance’s think tank and annual conference devoted to execution in the creative world; and a popular line of organizational paper products that help organize creative people and teams. Scott actively advises and invests in businesses that cross the intersection of technology and design, and help empower people, among other criteria. In addition to Scott’s work with Benchmark, he is an early investor and advisor in Pinterest, Uber, and Periscope (now part of Twitter) as well as several others in the early stages. Scott serves on the Board of Cheddar, a next-generation live and on-demand video news network. He is also the technology and design advisor (and investor / early board member) for sweetgreen, a values-driven locally-sourced seasonal kitchen. Prior to founding Behance, Scott helped grow the Pine Street Leadership Development Initiative at Goldman, Sachs & Co. Scott was especially focused on organizational improvement and strengthening relationships with clients. Scott serves on the Advisory Board of Cornell University’s Entrepreneurship Program and is President of the Board of Trustees for the Smithsonian Cooper-Hewitt National Design Museum. He attended Cornell University as an undergraduate and received his MBA from Harvard Business School. Scott and his family live in New York City and San Francisco.